This is a great way to kick off the warmth of Spring! 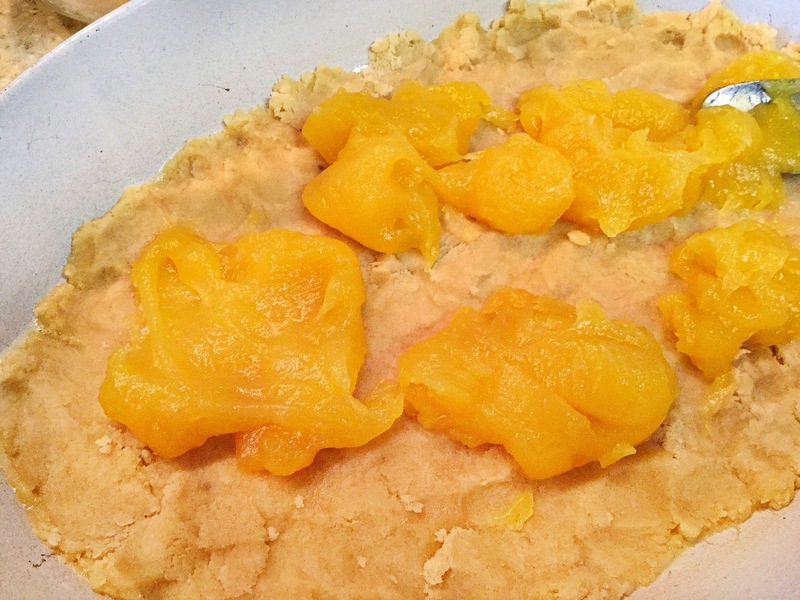 So good that I’m sure you’ll carry this lightly sweet and tangy dish all the way through summer! It’s bright, fresh and quite versatile as I like to pair it with grilled shrimp or chicken, or just eat it as is for a light lunch! *To amp up your veggie intake, prepare this with roasted spaghetti squash instead of pasta noodles. Bring water to a boil, cook noodles to package directions, drain and set aside. Alternatively, roast spaghetti squash in oven, shred with fork, set aside. In a medium size bowl, combine the honey, lemon juice, thyme leaves, salt and olive oil. Whisk and set aside. Bring a large, non-stick skillet to med-high heat. Add in the olive oil and the chicken seasoned with salt and pepper. Allow to cook 3-4 minutes on each side to create a nice browned color. With the chicken still in the pan, pour in the chicken broth and scrape up any brown bits (flavor!) and then pour in the sauce. Turn down to med-low heat and allow to simmer for 5 minutes, till slightly reduced, stirring occasionally. Going “global” with this one guys! Now as y’all know, I basically have two types of cuisines that I prefer to eat…constantly. Mexican and southern comfort food!! I do however branch out from time to time and THIS time it’s with my likely 3rd choice, Greek! Now I used to live by this AMAZING restaurant called “Pita Jungle”, that without fail catered to my cravings of this ethnic fare..saltiness of feta cheese, brininess of kalamata olives, fresh vegetables and the Greek’s unique spices has me every(damn)time. The only bad part of always getting my ‘fix’, was moving away and having nothing silimilar nearby. 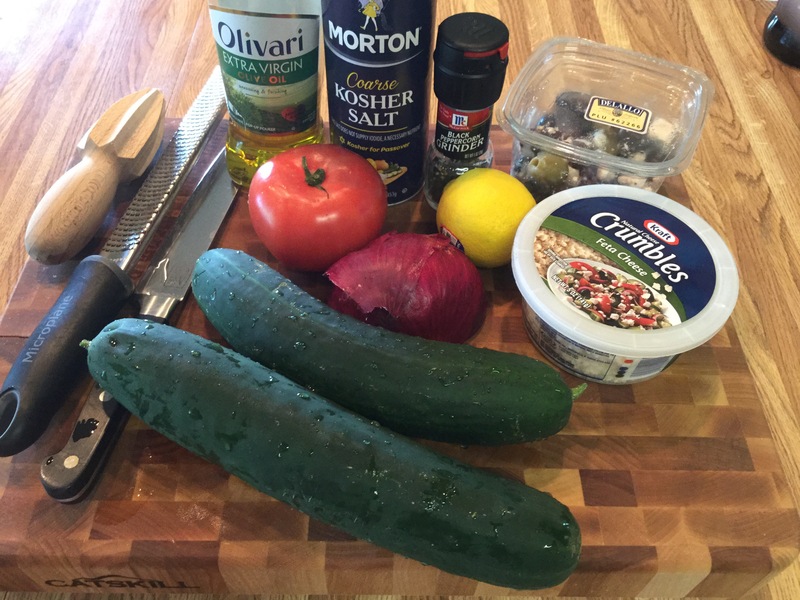 It was time to create my 2nd masterful Greek dish and THIS one is silly easy! 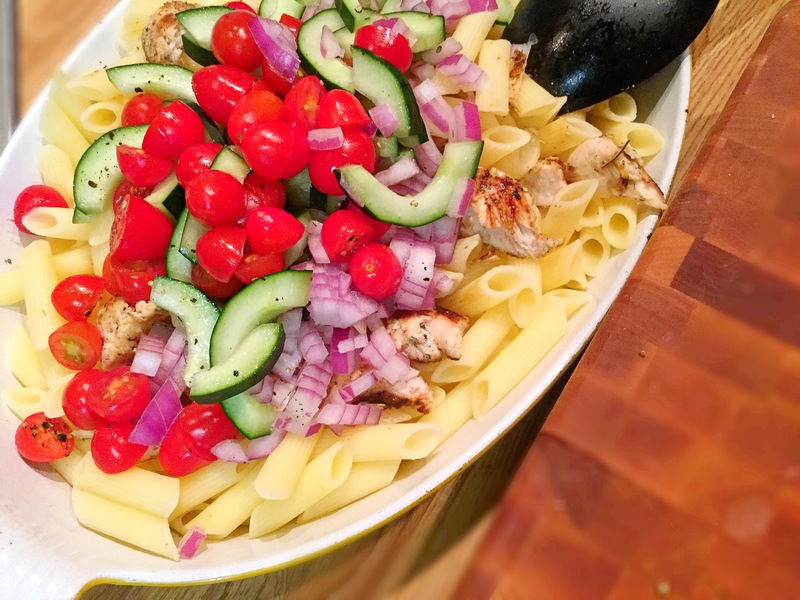 This Greek inspired chicken pasta is full of flavor, yes, BUT it’s also healthy for you too! Heck, get yourself another helping! 😉 Using non-fat greek yogurt and fresh produce brightens this dish and leaves you not feeling heavy in the least. *I also used fantastic gluten-free noodles that really help with that after dinner bloated feeling. Lastly..this dish is also so versatile that it is equally delicious served warm OR cold! So it’s a fabulous choice for a leftover dinner or lunch at work too! 1/2 salt and pepper, each. Alright friends! 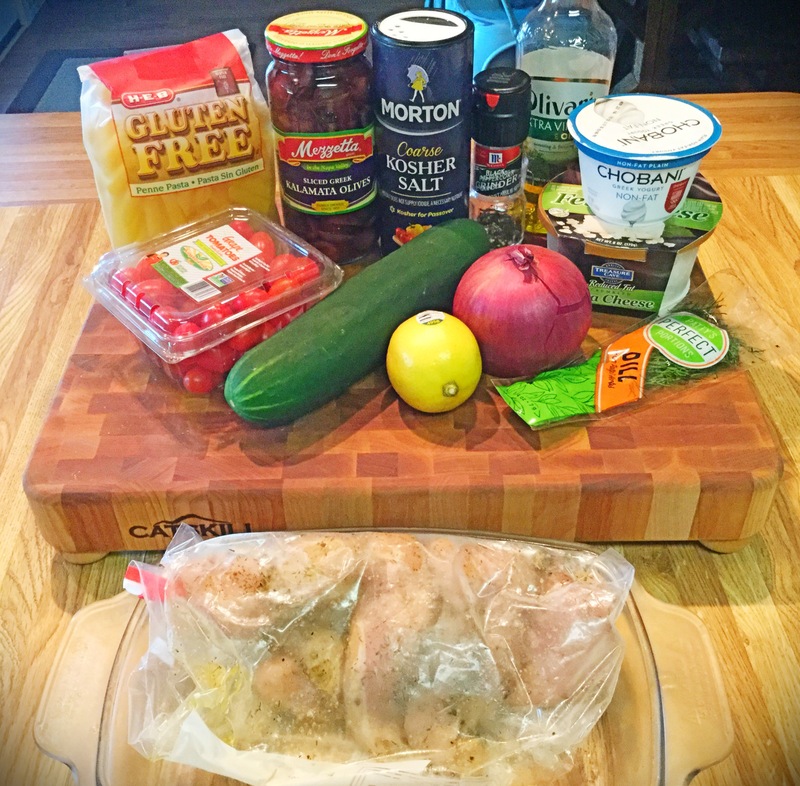 In a large gallon size ziplock bag, add in all of the marinade ingredients followed by the chicken. Seal and place in a dish (to avoid spillage) and into the fridge. Allow to marinate for about 3 hours. Do not go too much longer as the citrus in the marinade will change the texture of the chicken. *You can make the marinade without the lemon juice if you’d like it overnight and add it in later. 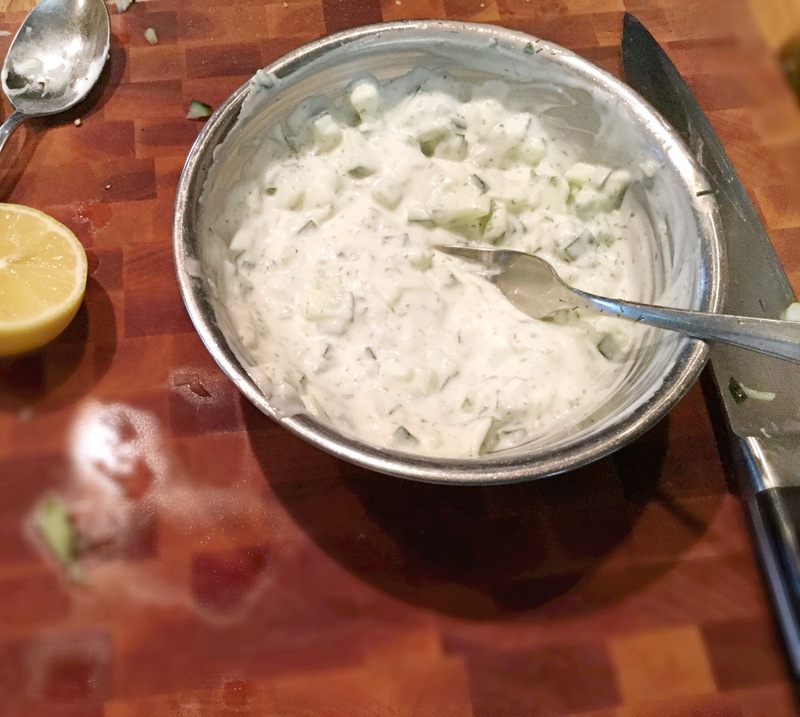 Assuming the chicken has been marinating away and it’s time to finish the meal, you’ll next prepare the Tzaziki sauce and again, it’s just as easy as the marinade! After you dice up the cucumber, simply whisk together all of the above mentioned ingredients, cover and set aside. *If preparing this in advance, please keep refridgerated until ready to use. Onto the vegetables! Rinse, cut, chop, dice, seed etc. etc. etc. your yummy veggies while also bringing a large stockpot of salted water to a boil. 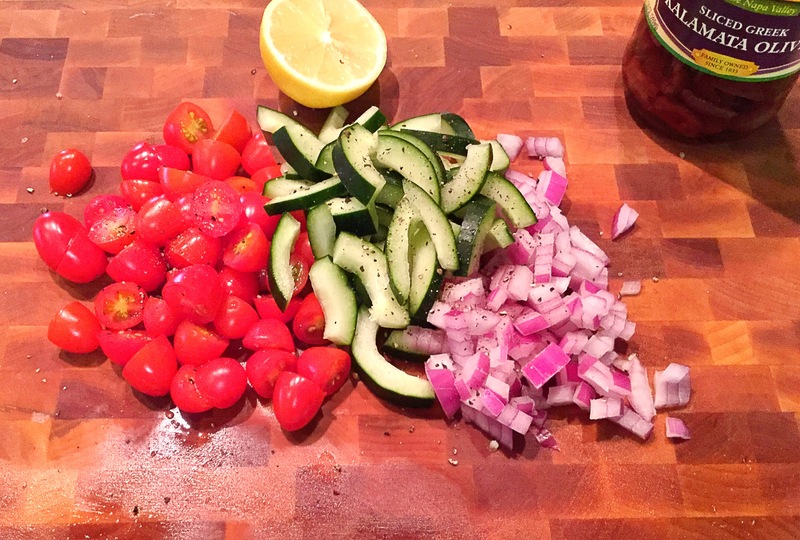 *I sprinkled a bit of salt and pepper over the vegetables for added flavor. 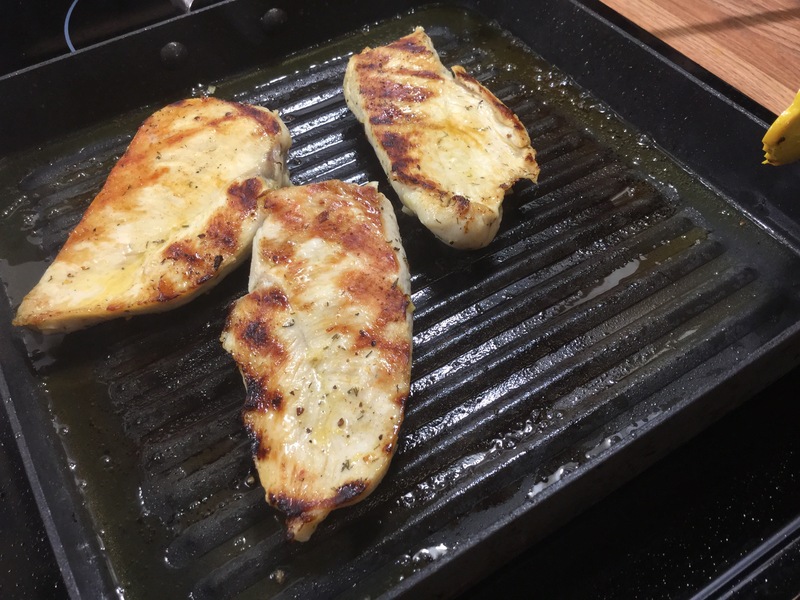 In a skillet over medium/medium-high heat with 1Tbsp of oil and 1Tbsp of butter, add the marinaded chicken. Cook through and set aside. Add the noodles to the boiling water and cook to package directions. Once the chicken has cooled slightly, roughly chop into bite size pieces. 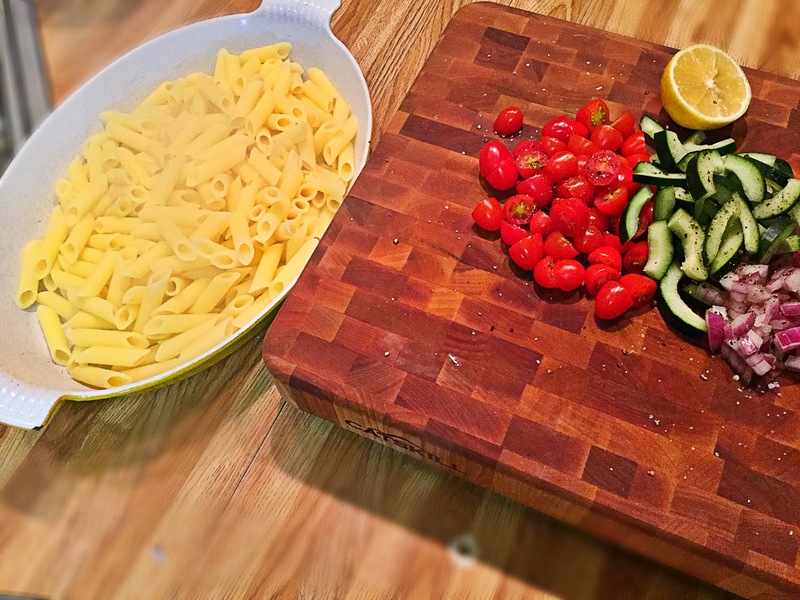 Drain the al dente noodles and pour into a 2-qt casserole dish or large serving bowl. The finish line has arrived…Now it’s just time to cross it! 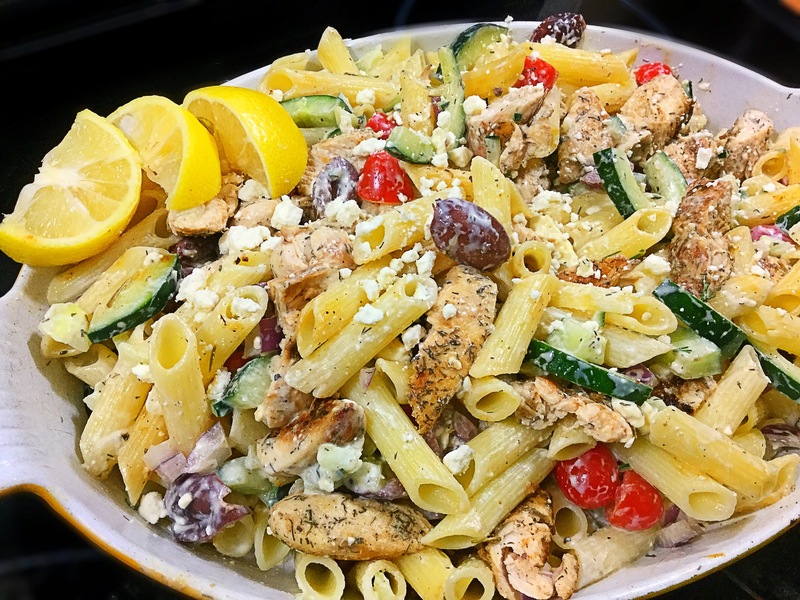 Simply add the vegetables and olives to the penne pasta, pour on your finished tzatziki sauce and gently toss together with the crumbled feta cheese. Serve with extra lemon slices and perhaps a bit more feta cheese and a pinch of fresh dill, enjoy!! Beginning with the chicken, we’ll get the marinade ready. In a small bowl simply combine the garlic/garlic powder, dill, lemon juice and zest, evoo and salt & pepper, whisk together. 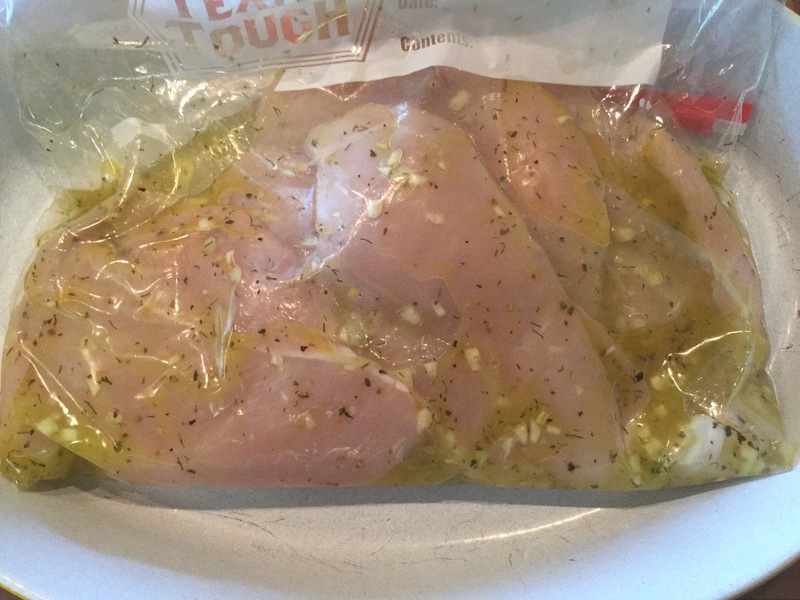 In a large ziplock bag add in the chicken breasts and pour in the marinade. Seal, place on a dish (to avoid spillage) and let marinate in the refridgerator for 1 hour. 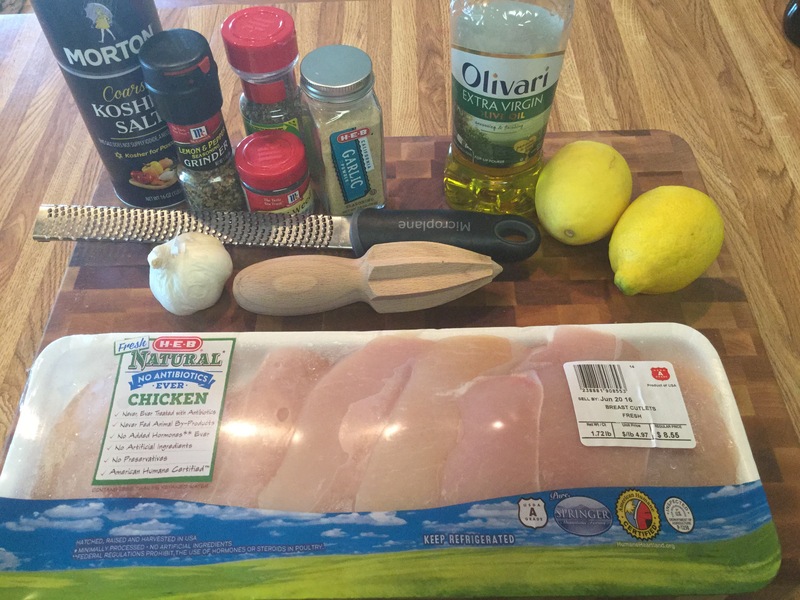 *Do not let marinate too long, as the acid from the lemon juice can change the texture of the chicken. On to the salad! 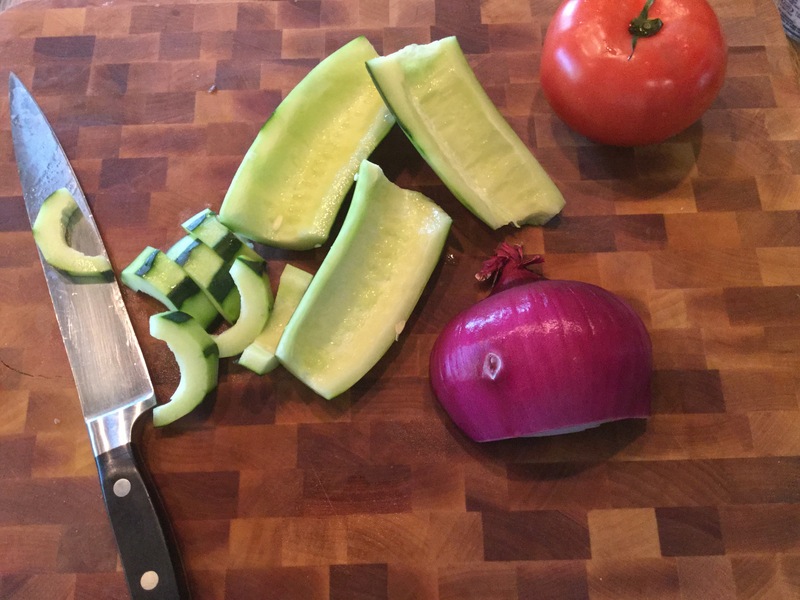 Prep your veggies by rinsing, chopping and dicing *For the cucumber, slice in half length-wise and take a spoon to gently scoop out the seeds/center. This will also help to eliminate the salad from getting too soggy. 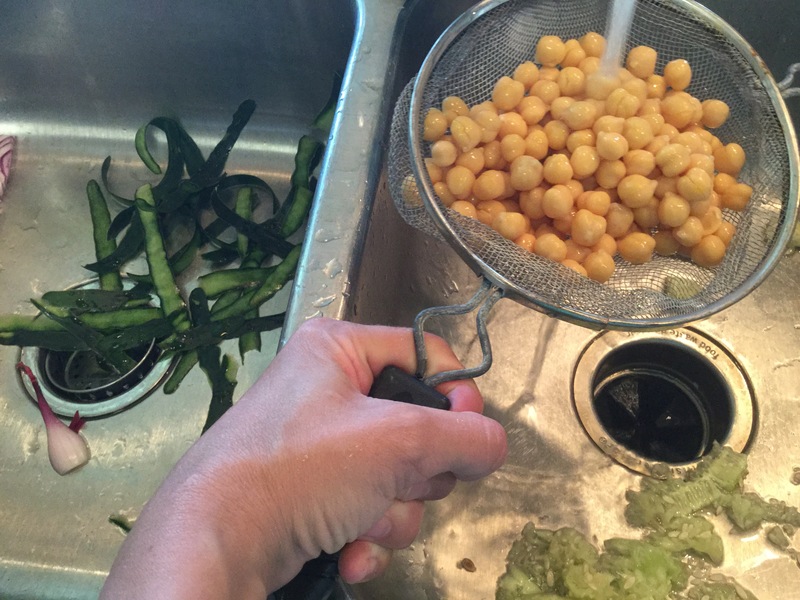 Also, drain the can of garbanzo beans and rinse/pat dry. 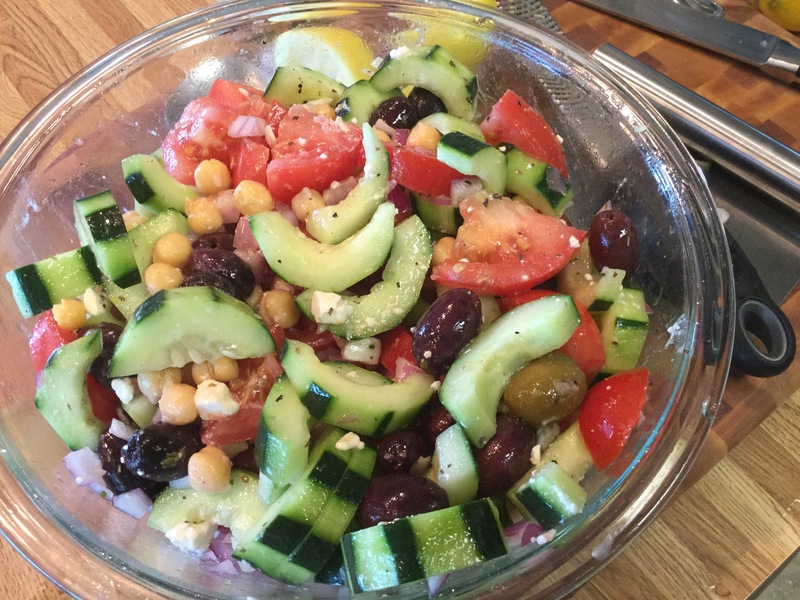 In a large bowl, combine the garbanzo beans, cucumbers, tomatoes, red onion and kalamata olives. 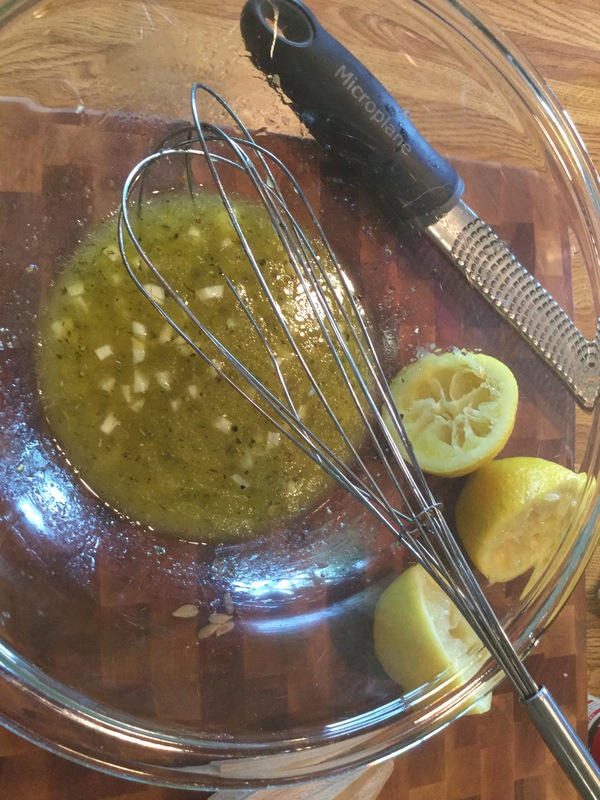 In a smaller bowl, whisk together the lemon juice, evoo, oregano, salt and pepper. Pour the dressing over the vegetables and sprinkle on the feta cheese. Give a gentle toss, cover and refridgerate while you cook the chicken. Now here you can either start up your outdoor grill or use a grill pan indoors. *Heck, I dont care if you decide to bake the chicken. Do what makes you happy. 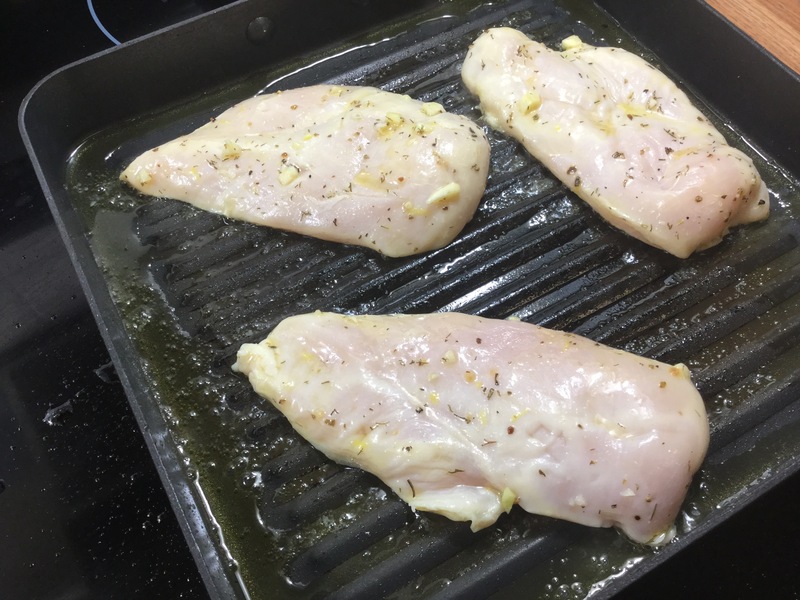 Remove the chicken from the refridgerator and place on your heated grill/medium-high heat grill pan. Grill the chicken for about 3-4 minutes on each side and let rest for 5 minutes. 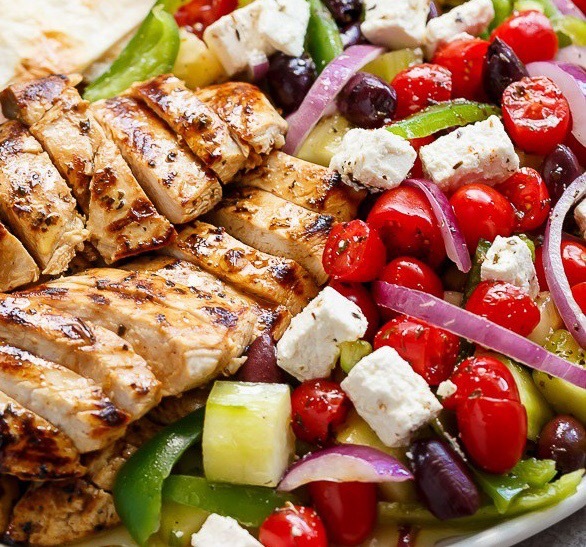 On a large family-style serving dish, pour on your Greek salad and layer the grilled, sliced chicken over top. Enjoy!! 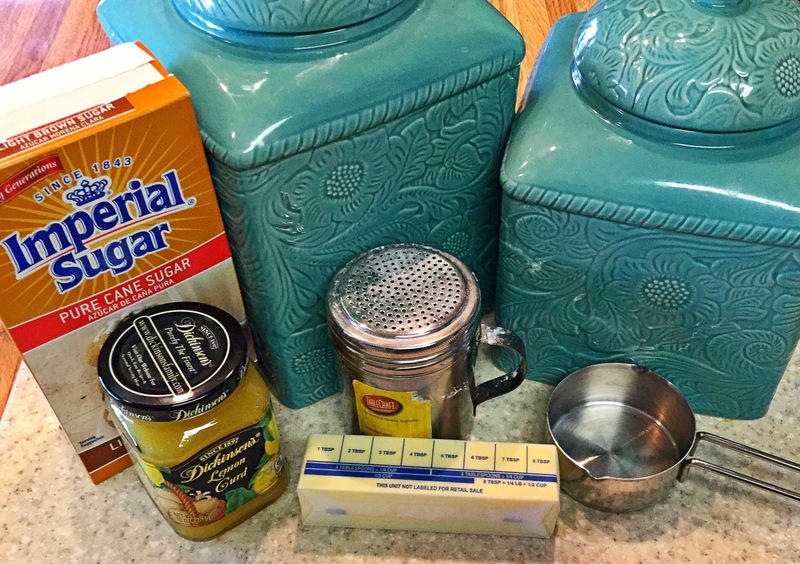 I’m a HUGE junkie for lemon anything…some of my fondest memories are from when we’d eat at Marie Callendars restaurant as a child (when they were still everywhere) and my parents would let me order a big slice of Lemon Meringue pie…or even their Sour Cream Lemon (drooling!!) after my dinner. I could also eat it all and not gain an ounce, not THATS a great memory in itself! Anyway. On the other side is my husband and he is a cookie fanatic..similar to the Cookie Monster if you will (I mean that in the nicest of ways 😉 So with this quick to assemble recipe I was thinking of both of us…and we both loved it indeed! 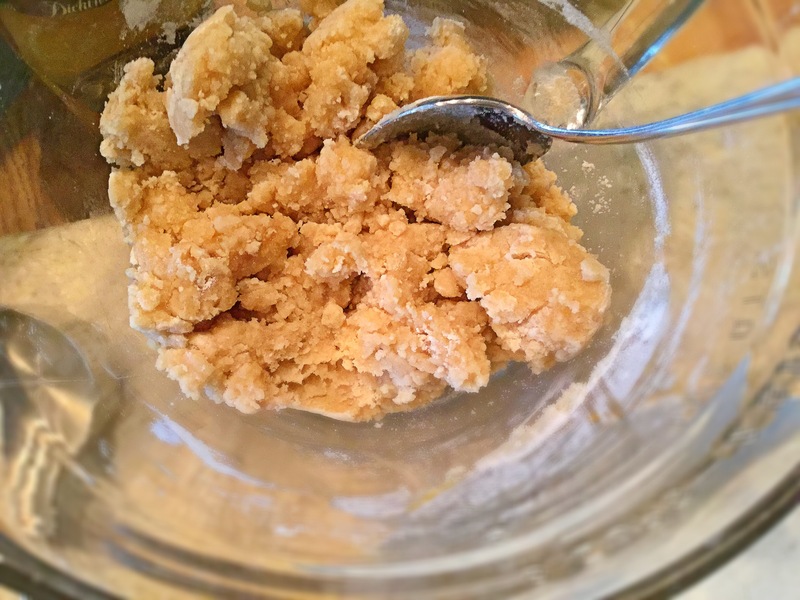 In a large bowl, melt the butter in the microwave (30 second increments). 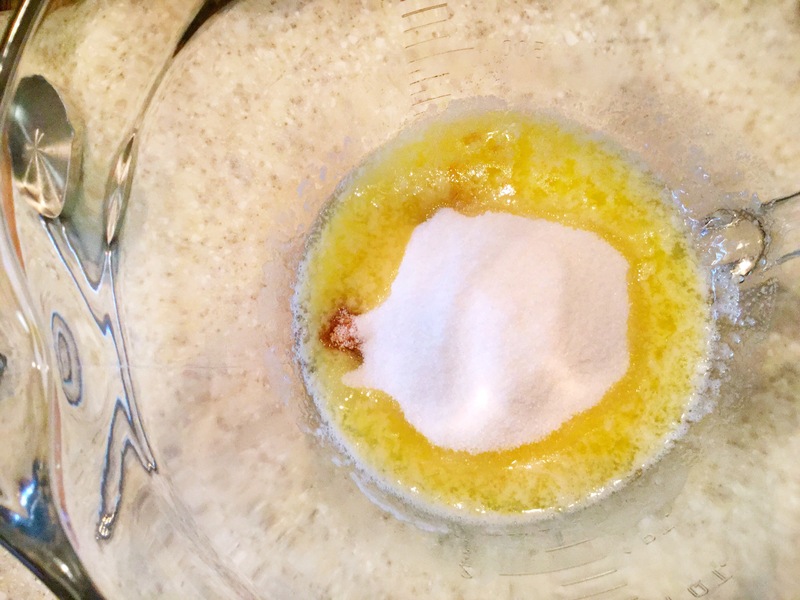 Next remove the bowl of melted butter and whisk in the granulated and light brown sugar till just combined. 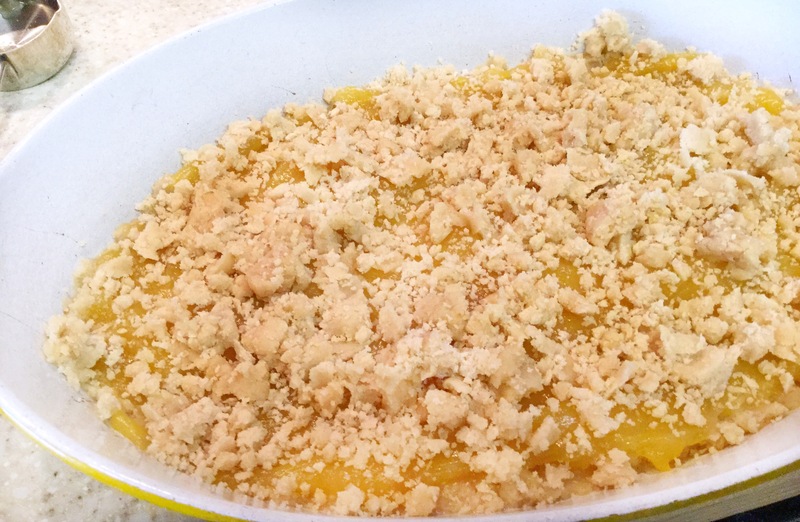 Now stir in the flour to finish off the crust and crumble topping (*reserve about 1 cup for the “crumble”). 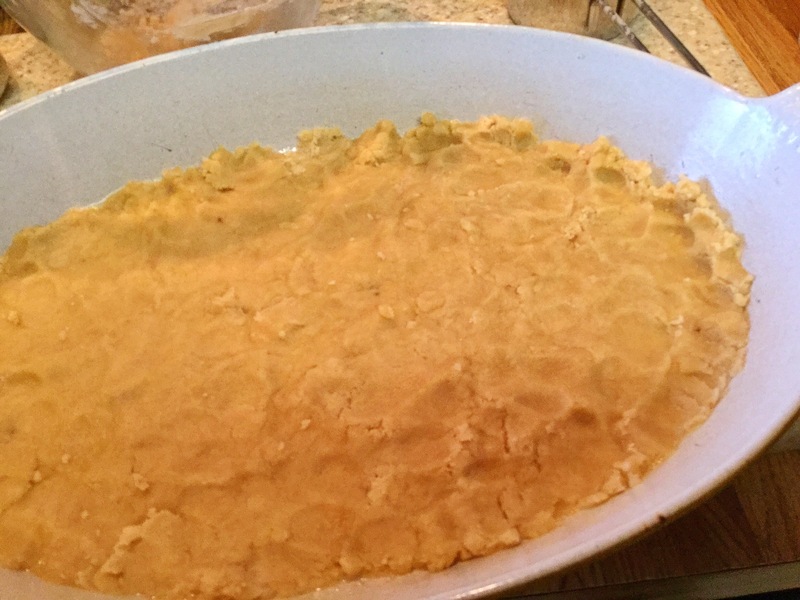 Grease roughly a 9×9 greased baking dish and spoon in the crust mixture while pressing it evenly into the dish with your fingers. Pop the now filled baking dish into the oven for 35-40 minutes (uncovered) and then allow to cool for 15 minutes. Place in the refridgerator for about 45-60 minutes to fully cool (here is where you eat dinner to pass the time ;)). 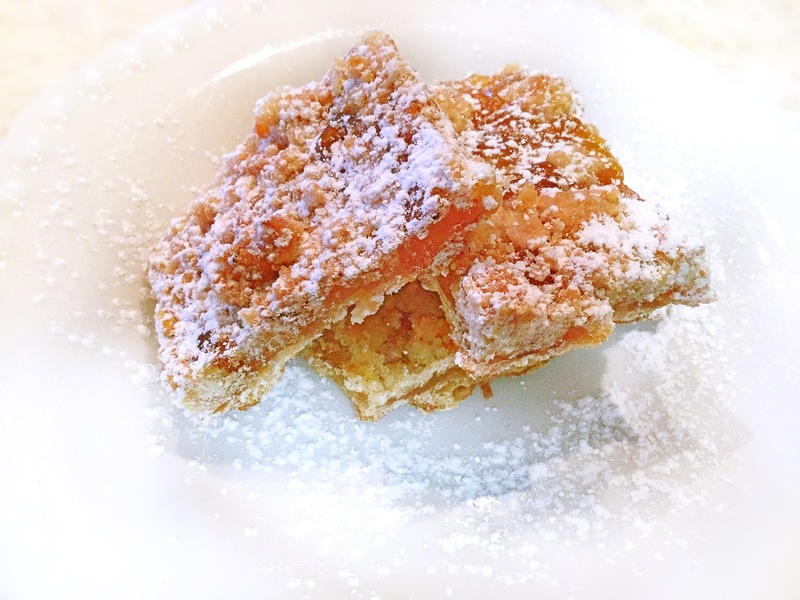 Cut into bars and sprinkle with powdered sugar. These slighty crunchy, super chewy, sweet & tart delights will go fast!